The Bahá'í Faith in Egypt has existed for over 100 years. The first Bahá'ís arrived in 1863. Bahá'u'lláh, founder of the religion, was himself briefly in Egypt in 1868 when on his way to imprisonment in `Akká. The first Egyptians were converts by 1896. Despite forming an early Bahá'í Local Spiritual Assembly and forming a National Assembly, in 1960 following a regime change the Bahá'ís lost all rights as an organised religious community by Decree 263 at the decree of then-President Gamal Abdel Nasser. However, in 1963, there were still seven organized communities in Egypt. More recently the roughly 2000 (according to Egypt Today or 7000 by ARDA) Bahá'ís of Egypt have been embroiled in the Egyptian identification card controversy from 2006 through 2009. There have been homes burned down and families driven out of towns. One of the early Baha'i pioneers to come to Egypt in 1867 was Mirza Heyder Ali during the reign of Isma'il Pasha circa 1860–70 who was arrested and banished to Sudan for 12 years soon after his entrance into Egypt. Other early Bahá'ís in Egypt were Haji Báqir-i-Káshání and Siyyid Husayin-i-Káshání who took up residence in Egypt during the period Bahá'u'lláh was in Adrianople. Another early Bahá'í was Hag Hassan Khurásáni who held weekly meetings in his home. Bahá'u'lláh and his family left Adrianople on 12 August 1868 and after a journey by land and sea through Gallipoli and Egypt arrived in `Akká on 31 August, and confined in the barracks in the citadel in the city. From then on many well known Bahá'ís spent time in Egypt or joined the religion there. 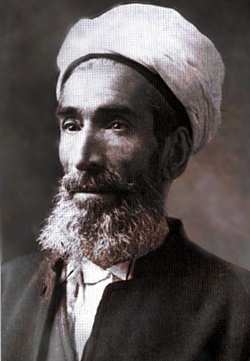 Nabíl-i-A`zam made several journeys on behalf of Bahá'u'lláh and was imprisoned in Egypt in 1868. Robert Felkin was in Egypt circa 1880s and published a number of books -later he converted to the religion. In 1892 two converts in Egypt embarked to the West intending to spread the religion and were the first Bahá'ís to enter the United States where the first converts followed in 1894. Fara'id (The Peerless Gems): A book written in 1898 in reply to an attack on the Kitáb-i-Íqán and published in Cairo. Generally considered Mírzá Abu'l-Fadl's greatest work. Al-Duraru'l-Bahiyyih (The Shining Pearls): Published in 1900, it is a collection of essays on the history of the Bahá'í Faith. Since it was wrriten in Arabic, it was responsible for making the Bahá'ís known in Egypt. Following their publication al-Azhar University decreed that he was an infidel. From 1901 to 1904 at the request of `Abdu'l-Bahá he traveled and gave talks among the new Bahá'í community in the United States. Meanwhile, the Egyptian community continued to publish materials and from 1900 to 1910 several articles and books including official Bahá'í literature were published in Cairo. Abu'l-Fadl died in 1914 is buried in the cemetery called Al-Rawda Al-Abadeyya, the Eternal Garden. Circa 1887 `Abdu'l-Bahá met the Egyptian reformer Muhammad Abduh while both were in Lebanon wherein Abduh had a clearly positive impression of him. After a further period of imprisonment westerners became interested in meeting him as well. Stanwood Cobb managed to meet `Abdu'l-Bahá, then head of the religion, after an accidental meeting with Lua Getsinger in 1908 in Egypt. `Abdu'l-Bahá traveled to Egypt in September 1910 after being released following events of the Young Turk Revolution. This was the initial event of a series of journeys he took. Sometime from late September to mid-August 1910 until the winter of 1913, `Abdu'l-Bahá would travel from Egypt to various countries and back in two successive trips – first to Europe, second to America (United States and Canada) and back to Europe on the return trip. Before, between, and on return he would stop in Egypt. See `Abdu'l-Bahá's journeys to the West. Wellesley Tudor Pole became a Bahá'í after traveling to Egypt to interview him in November 1910. In the same year, `Abdu'l-Bahá referred to an early Bahá'í Local Spiritual Assembly of Cairo. Playwright Isabella Grinevskaya traveled to meet `Abdu'l-Bahá in Egypt and became a member of the religion. Louis Gregory visited `Abdu'l-Bahá at Ramleh in 1911. `Abdu'l-Bahá was about to make long travels to the West. Just before `Abdu'l-Bahá's first trip, a message from Lady Blomfield extended an invitation for `Abdu'l-Bahá when he was in London. `Abdu'l-Bahá then set sail 11 August 1911, reached as far as London, and returned in early December to rest for the winter. His next trip was more extensive and reached to California. He left 25 March 1912 and returned 17 June 1913 and on return stayed in Egypt almost six months before returning to Haifa/Akka. Upon his return he gave a number of talks. These were eventually published as `Abdu'l-Bahá in Egypt. After `Abdu'l-Bahá returned to Haifa, Martha Root stayed there for six months in 1915. One of the earliest Bahá'ís of the west and a Disciple of `Abdu'l-Bahá, Lua Getsinger, died in 1916 and she was buried in Egypt. And following `Abdu'l-Bahá laying the cornerstone for the first Bahá'í House of Worship of the West, the Bahá'ís from Cairo, Port Said and Alexandria contributed to the Fund for its construction in Wilmette, Illinois. During World War I Bahá'ís in Port Said were pillaged twice. Meanwhile, Tudor Pole was stationed in Egypt and was directly involved in addressing the concerns raised by Ottoman threats against `Abdu'l-Bahá. As the battle lines advanced from Egypt through Palestine, the Ottomans had threatened that `Abdu'l-Bahá would be killed if the Ottomans had been forced to leave the region. This threat was taken seriously by the British Military who then sought to make his protection part of the plans for the Palestine theatre. General Allenby altered his plans for the prosecution of the war and succeeded in protecting `Abdu'l-Bahá. In the period between the world wars,public opposition to Bahá'ís became more widespread as the religion grew and in addition to growing, the Bahá'ís of Egypt began to publish materials to be more easily read. At the death of `Abdul-Bahá in 1921, Shoghi Effendi left England with the assistance of Lady Blomfield and stopped in Egypt to change boats for Haifa. The assembly of Alexandria was formed in 1924 for the first time and Subhê Eliçs was among the elected – he was re-elected until 1961 and left an oral history recorded from his experiences in the community in 1977. It was also the year of the first election of the regional National Spiritual Assembly of Egypt and Sudan. In 1928 the Bulletin was first published by the National Spiritual Assembly of the Bahá'ís of Egypt, in English, Arabic and Persian. The national conventions continued to elect the national assembly. By 1930 most of the Egyptian Bahá'ís were native Egyptians and despite circumstances an Egyptian Bahá'í woman was able to attend the 1931 Women's Conference of All-Asia held in Lahore, Burma. Marie of Edinburgh, another western Bahá'í, was able to stop at Egypt for a time but failed to make landfall in Haifa. In early 1934 Sabri Elias pioneered to what was then called Abyssinia, (see Bahá'í Faith in Ethiopia) where he was soon joined by further Egyptians by mid-1934 – enough to elect the first Assembly in Addis Ababa. In 1935 the national assembly saw to the translation of the Kitáb-i-Íqán into Arabic and its publication. The Bahá'ís returned from Ethiopia when war was breaking out. Meanwhile, the publishing committee of Alexandria published the Tablet to The Hague in one of the local papers on the occasion of the question of peace. By early 1937 Mostafa Kamel of Egypt was able to act as a youth international correspondent for a youth newsletter. 1924 began with an apparent triumph when following a controversy over a burial of a Bahá'í in a Muslim cemetery, Egypt became the first Islamic state to legally recognize the Bahá'í Faith as an independent religion separate from Islam and creating two cemeteries for the Bahá'ís – one in Cairo and the other in Ismaïlia. As a result of the decision when certain Muslims attacked Bahá'ís in Kom El-Sayeda the perpetrators were excommunicated from Islam for the attack. In 1936 following interest from citizens of Belqas as well as visitors from Tanta it became known that Saad Effendi Salim Nosseir was a Bahá'í and opposition was stirred up such that the interested citizens and Nosseir were unable to leave their homes. Nossier, being a public servant, appealed for a change in residence and serve in another district and was at first refused despite his good reputation. However, in time he was transferred. And in late 1938 there were extraordinary events concerning the burial of Mohammed Effendi Soliman of Ismaïlia who had died 9 December 1938. Having informed family and friends of his wish for a Bahá'í funeral, and drawing up a Will requiring his heirs to submit to the Local Assembly of Ismaïlia, the assembly informed the police of the papers and arrangements. A non-Bahá'í brother agitated against this funeral and became so threatening that he was detained by the police. However, when it came time to take the casket to the cemetery a large angry crowd made travel impossible despite police protection. That night the casket was transferred to police headquarters though fighting injured eight policemen. On the next day after midnight a truck took the casket out of town to be buried in the desert sands. The home of the deceased was attacked by a mob, and demonstnitions were continued in the streets throughout the night. In 1939, after the national assembly elections, petition was made to have Bahá'í marriage ceremonies legal in Egypt – as part of the justification a copy of a marriage contract issued by the Spiritual Assembly of Haifa and legalized by both Palestine authorities and the Egyptian Consulate in Jerusalem was enclosed. However, by 1944 a Bahá'í marriage was compulsorily annulled because the wife had originally been Moslem, in spite of her statement in court that she now considered herself a Bahá'í. Sabri Elias married and went on Bahá'í pilgrimage and then returned to Ethiopia and then some years later went on to Djibouti. Shoghi Effendi came through Egypt during a personal trip with his wife Rúhíyyih Khanum through Africa in 1940. Following permission being granted in 1941, the remains of Lua Getsinger were transferred in 1943 to be next to the transferred remains of Abu'l-Fadl (she facing west, he east, at the direction of Shoghi Effendi) to the Bahá'í Cemetery in Cairo, that was ornamented by 1947. However opposition also continued to grow – though work on translation had begun in 1934, in 1942 Egyptian police confiscated Arabic translations of The Dawn-breakers. After many efforts by the National Assembly, the confiscated copies were released on condition that this book should not be distributed in Egypt or sent out of the country. The Censorship Bureau of the Egyptian Ministry of the Interior requested the Assembly to renew their guarantee every fifteen days that the said book will not be put in circulation. Also in 1942 Hand of the Cause Abdu'l-Jalil Bey Sa'd, a notable student of Abu'l-Fadl, died and was buried with memorial services called for in the east and west. Despite the ongoing World War, some 200 Bahá'ís, including from Egypt and other nearby areas, were able to gather for 3 days in May 1944 at the Shrine of the Báb to commemorate the centenary of the founding of the Bahá'í Faith. Inside Egypt some 500 Bahá'ís were able to gather to mark the event at the national center. During the three days of events in Cairo, talks were presented on "The Position of Women in the Bahá'í Cause", "The life of Qurratu'l-`Ayn" (see Táhirih), "The Accord between Religion and Science", "Why Bahá'ís feel tranquility", and various quotes from Bahá'í literatures. By the end of 1944 there were four assemblies (Cairo, Alexandria, Port-Said, Isma'iliyyih) and an additional 16 smaller communities in Egypt, and the Bahá'í community in Egypt began to include Kurdish, Coptic, and Armenian peoples. The Sudan/Egypt regional National Assembly existed until 1953 when it became a regional assembly for North East Africa. It included French Somaliland; Egypt, Sudan, Abyssinia, Libya, Eritrea, British Somaliland; Italian Somaliland; and Socotra Is. The Bahá'í summer school in Alexandria began having integrated classes with women and men in 1953 and a newsreel carrying the dedication of the Bahá'í Temple in Wilmette was shown in movie houses in Egypt. In 1955 two new assemblies in Egypt were elected – Damanhur and Shibin El Kom in 1956 in El Mansoura In 1959 the Bahá'ís held their first winter school. At this time the Bahá'ís may have reached 3000 in Egypt. Sabri Elias with his family returned from pioneering to Ethiopia and beyond back to Egypt in 1959. By the late 1950s, there were approximately 5,000 Egyptian Bahá'ís and organized communities of Bahá'ís in 13 cities. However, since a regime change in 1960, the Bahá'ís lost all rights as an organized religious community by Decree 263 which specified a minimum sentence of six months' imprisonment or a fine for any assembly-related activities. This law came into being seven years after the declaration of the Arab Republic of Egypt, at the decree of then-President Gamal Abdel Nasser. All Bahá'í community properties, including Bahá'í centers, libraries, and cemeteries, were confiscated by the government except the cemetery Al-Rawda Al-Abadeyya. In obedience to the government is a core principal of the religion. In 1963, Bahá'í communities were still counted in Abu Qir, Mansoura, Alexandria, Port Said, Cairo, Zeitoun, and Ismaïlia. 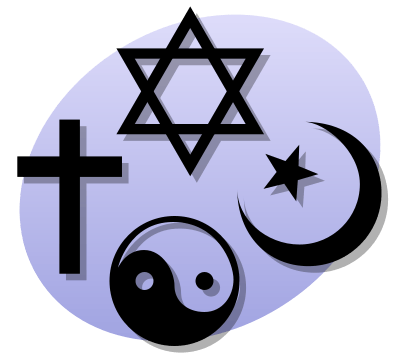 The 1971 Egyptian constitution specified "the state shall guarantee the freedom of belief and the freedom of practice of religious rites" however the 1975 Egyptian Supreme Court upheld the legality of the law and ruled constitutional protections only extended to the three “heavenly” religions of Judaism, Christianity and Islam. From 1965 to 2001 there were 236 arrests of Baha’is, charged under Article 98(f) of the Penal Code which proscribes “disparaging contempt of any divinely-revealed religion or its adherents, or prejudicing national unity or social harmony.” Albert-Ludwig University of Freiberg’s Professor of Islamic Studies, Johanna Pink, has suggested the government was not so much concerned with the Bahá'ís being a real threat, but was attempting to “legitimise” its authority in the eyes of the people, presenting themselves as “defenders” of Egypt as an Islamic state. There were episodic waves of arrests of Bahá'ís in the mid-1960s, 1972 and 1985. In early 1987 48 Bahá'ís had sentences pronounced against them for activities as Bahá'ís. However two were found not guilty after they recanted their faith. Charges against the Bahá'ís included gathering in small groups, praying together in private homes, and being in possession of Bahá'í holy writings and prayer books. Thirty-two of the Bahá'ís were acquitted in one bunch and 13 in another by mid-1988. Since its inception the religion has had involvement in socio-economic development beginning by giving greater freedom to women, promulgating the promotion of female education as a priority concern, and that involvement was given practical expression by creating schools, agricultural coops, and clinics. The religion entered a new phase of activity when a message of the Universal House of Justice dated 20 October 1983 was released. Bahá'ís were urged to seek out ways, compatible with the Bahá'í teachings, in which they could become involved in the social and economic development of the communities in which they lived. Worldwide in 1979 there were 129 officially recognized Bahá'í socio-economic development projects. By 1987, the number of officially recognized development projects had increased to 1482. However the current Egyptian Bahá'í community has had fatwas issued against it by Al-Azhar's Islamic Research Center, which charges Bahá'ís with apostasy in Islam. There are still allegations of Bahá'í involvement with other powers and accusations of "using religion to promote deviant ideas to spark sedition or disdain the heavenly religions or their followers or to harm national unity." There have been homes burned down and families driven out of their communities. During and since the 2011 Egyptian revolution tensions have remained high – homes have been burnt though Bahá'ís contributed to the dialog. Since 2011 Bahá'ís while hopeful remain concerned and a Salafi spokesman has said of Bahá'ís "We will prosecute the Bahai's (sic) on charge of treason." In the summer of 2012 Dwight Bashir, the Deputy Director for Policy and Research at the U.S. Commission on International Religious Freedom, called the Bahá'ís in Egypt a "litmus test" as "a compelling indicator of the trajectory" Egyptian society was turning following the 2011 Egyptian revolution and outlined a number of myths about the religion showing examples of these myths being repeated in Egypt. In late 2012 Dr. Ibrahim Ghoniem, acting Minister of Education and member of the Muslim Brotherhood stated his opinion the Bahá'í children would be excluded from the Egyptian school system. Related comments also put in doubt the status of the Identification Controversy. 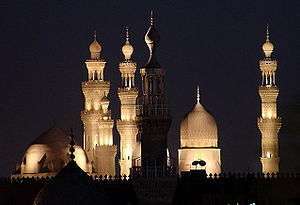 According to news coverage, in December 2014 a government ministry organized a workshop for Muslim imams held in Abbassia’s Al-Nour Mosque to "raise awareness" of the "growing dangers of the spread of Baha’ism," to maintain "national security and stability" as Baha’i thought allegedly "threatens Islam specifically and Egyptian society in general," and "teach young imams how to respond to Bahá'í thoughts and arguments." Minister Mohamed Mokhtar Goma of the Ministry of Religious Endowments continue to portray the Bahá'ís as a threat to society in April 2015. Even listing the religion on purely administrative paperwork was considerred a "threat to public order" in recent developments. Somaya Ramadan is an Egyptian academic, translator and award-winning writer. She was born in Cairo in 1951 and studied English at Cairo University. Subsequently she obtained a PhD in English from Trinity College, Dublin in 1983. She is a convert from Islam to the Bahá'í Faith. Ramadan's first two books were short story collections - Khashab wa Nohass (Brass and Wood, 1995) and Manazel el-Kamar (Phases of the Moon, 1999). Her first novel Awraq Al-Nargis (Leaves of Narcissus) was published to great acclaim in 2001 and won the Naguib Mahfouz Medal. It was then translated into English by Marilyn Booth and is available from the AUC Press. Ramadan has also worked extensively as a translator. Among her notable translations is Virginia Woolf's A Room of One's Own. She is a founding member of the Women and Memory Forum, a non-profit organisation, and teaches English and Translation at the National Academy of Arts in Cairo. Hussein Bikar was born in Alexandria in 1912 and was one of the most famous Egyptian portrait painters. A member of the Bahá'í Faith he was arrested in the 1980s by the state security investigation bureau in a clamp-down on Bahá'ís in Egypt. Nevertheless, Bikar received the State Merit Award in 1978, the Merit Medal in 1980 and, in 2000, shortly before his death, the Mubarak Award. The Universal House of Justice, the highest governing body of the Bahá'í Faith, paid tribute to his contributions to Egyptian society after his death in 2002. The controversy resulted from a ruling of the Supreme Administrative Council of Egypt on 16 December 2006 against the Bahá'ís stating that the government may not recognize the Bahá'í Faith in official identification cards. The ruling left Bahá'ís unable to obtain the necessary government documents to have rights in their country unless they lied about their religion, which conflicts with Bahá'í religious principle. However a 2008 ruling accepted the compromise solution offered by the Bahá'ís, allowing for them to obtain identification papers without the Bahá'í Faith being officially recognized, however through February 2009 there have been appeals and procedural choices made trying not to give such cards. The first identification cards were issued to two Bahá'ís, though, under the new policy on 8 August 2009. There are recent reports of 500 to 2,000 or even more than 3000 or so Bahá'ís in Egypt. The Association of Religion Data Archives (relying on World Christian Encyclopedia) estimated over 7227 Bahá'ís in 2005. Saba Mahmood (3 November 2015). "Introduction and Chapter 4 (Religious and Civil Inequality)". Religious Difference in a Secular Age: A Minority Report. Princeton University Press. pp. 1–27, 130, 150–175, 209. ISBN 978-1-4008-7353-1. 1 2 3 4 5 6 7 8 9 Hassall, Graham (c. 2000). "Egypt: Baha'i history". Asia Pacific Bahá'í Studies: Bahá'í Communities by country. Bahá'í Online Library. Retrieved 2009-05-24. 1 2 Smith, Peter (2008). An Introduction to the Baha'i Faith. Cambridge: Cambridge University Press. p. 26. ISBN 0-521-86251-5. 1 2 Momen, Moojan (4 March 2002). "Abu'l-Fadl Gulpaygani, Mirza". Archived from the original on 13 May 2008. Retrieved 2009-05-25. 1 2 "Baha'i community of Egypt". Official Website of the Bahá'ís of Australia. National Spiritual Assembly of the Bahá'ís of Australia. Archived from the original on 29 September 2009. Retrieved 2009-05-24. 1 2 3 4 U.S. Department of State (15 September 2004). "Egypt: International Religious Freedom Report". Bureau of Democracy, Human Rights, and Labor. Archived from the original on 17 October 2006. Retrieved 2006-10-20. 1 2 U.S. Department of State (26 October 2001). "Egypt: International Religious Freedom Report". Bureau of Democracy, Human Rights, and Labor. Archived from the original on 21 November 2006. Retrieved 2006-12-28. 1 2 3 Compiled by Hands of the Cause Residing in the Holy Land. "The Bahá'í Faith: 1844–1963: Information Statistical and Comparative, Including the Achievements of the Ten Year International Bahá'í Teaching & Consolidation Plan 1953–1963". pp. 22, 41, 46. 1 2 3 4 5 6 El-Hennawy, Noha (September 2006). "The Fourth Faith?". Egypt Today. Archived from the original on 4 September 2009. 1 2 "Most Baha'i Nations (2005)". QuickLists > Compare Nations > Religions >. The Association of Religion Data Archives. 2005. Retrieved 16 September 2012. 1 2 Egyptian Initiative for Personal Rights (16 December 2006). "Government Must Find Solution for Baha'i Egyptians". eipr.org. Archived from the original on 9 February 2007. Retrieved 2006-12-16. 1 2 Gonn, Adam (24 February 2009). "Victory in Court For Egyptian Baha'i". Cairo, Egypt: AHN. Archived from the original on 13 August 2011. Retrieved 2009-05-24. 1 2 3 Reuters (3 April 2009). "Baha`i Homes Attacked in Egypt Village". Egypt: Javno.com. Retrieved 2009-05-25. "History of the Cause in Egypt". Bahá'í News (37): 8. January 1930. "History of the Cause in Egypt (Continued)". Bahá'í News (38): 3. February 1930. ↑ Balyuzi, H.M. (1985). Eminent Bahá'ís in the time of Bahá'u'lláh. The Camelot Press Ltd., Southampton. pp. 268–270. ISBN 0-85398-152-3. ↑ Arohanui, Introduction by Collis Featherstone. ↑ Van den Hoonaard, Willy Carl (1996). The origins of the Bahá'í community of Canada, 1898–1948. Waterloo, Ontario, Canada: Wilfrid Laurier Univ. Press. p. 16. ISBN 978-0-88920-272-6. ↑ Scharbrodt, Oliver (2008). Islam and the Baha'i Faith: A Comparative Study of Muhammad ʻAbduh and ʻAbdul-Baha ʻAbbas. Culture and Civilization in the Middle East Series. 13 (illustrated ed.). Psychology Press. p. 1. ISBN 9780415774413. 1 2 3 4 Provan, Lucy (14 October 2012). "Baha'is in Egypt". Daily News Egypt. Retrieved 20 November 2012. ↑ Banani, Amin (1999). "Modernity and Millennium, by Juan Cole: Some Reflections". Bahá'í Studies Review. 9. Retrieved 2012-11-20. ↑ "Glimpsing Early Bahá'í Pilgrimages; Endure people even when they are unendurable!". Bahá'í News (498): 6. October 1972. 1 2 Graham Hassall (1 October 2006). "Egypt: Baha'i history". Retrieved 2006-10-01. ↑ Effendi, Shoghi (1976). Principles of Bahá'í Administration (4th ed.). London, UK: Bahá'í Publishing Trust. p. 23. ISBN 0-900125-13-6. ↑ Momen, Moojan. "Russia". Draft for "A Short Encyclopedia of the Bahá'í Faith". Bahá'í Academics Resource Library. Retrieved 2008-04-14. 1 2 "Lady Blomfield: an aristocrat of the spirit". Bahá'í News (515): 8,11. February 1974. ↑ "International Council Reviews Progress in Baha'i World Community". Bahá'í News (369): 6. December 1961. ↑ Kazemzadeh, Firuz (2009). "'Abdu'l-Bahá 'Abbás (1844–1921)". Bahá’í Encyclopedia Project. Evanston, IL: National Spiritual Assembly of the Bahá’ís of the United States. ↑ Abbas, `Abdu'l-Bahá (1929). `Abdu'l-Bahá in Egypt. Mirza Ahmad Sohrab (trans. and comments). ↑ Garis, M.R. (1983). Martha Root: Lioness at the Threshold. Wilmette, Illinois, USA: Bahá'í Publishing Trust. ISBN 0-87743-185-X. ↑ Sears, William; Robert Quigley. The Flame. George Ronald Publisher Ltd. ISBN 978-0-85398-030-8. ↑ Lady Blomfield (1 October 2006). "The Chosen Highway". Baha'i Publishing Trust Wilmette, Illinois. Retrieved 2006-10-01. ↑ Universal House of Justice (1986). In Memoriam. The Bahá'í World. XVIII. Bahá'í World Centre. pp. 746–748. ISBN 0-85398-234-1. ↑ "Bulletin Published By National Spiritual Assembly of Egypt". Bahá'í News (28): 4. November 1928. ↑ "The Fifth Annual Convention of the Baha'is of Egypt". Bahá'í News (35): 3–4. November 1929. ↑ "Baha'is of Egypt hold Eleventh Annual Convention". Bahá'í News (93): 4. July 1935. 1 2 3 "Annual Convention of Egypt". Bahá'í News (104): 8. December 1936. 1 2 "Fifteenth Annual Convention of the Baha'is of Egypt". Bahá'í News (134): 12. March 1940. ↑ "Bahá'í Activities in other Lands; India; Burma". Bahá'í News (55): 6. September 1931. ↑ "Queen Marie of Rumania Renowned first Royal Believer; The Queen at Haifa". Bahá'í News (504): 5. March 1973. 1 2 3 4 "Reaping the Harvest 44 years after opening the country to the Faith, Sabri Elias returns 'home' to Ethiopia". Bahá'í News (557): 1–3. August 1977. ↑ "INTERNATIONAL NEWS; From Circular Letter issued by the Spiritual Assembly of Haifa, June, 1934". Bahá'í News (86): 5–6. August 1934. ↑ "Baha'i Activities in Abyssinia". Bahá'í News (89): 7. January 1935. ↑ Hassall, Graham. "Ethiopia". Research notes. Asia Pacific Bahá'í Studies. Retrieved 2008-12-21. ↑ "Excerpts from Haifa Newsletter". Bahá'í News (93): 7. July 1935. ↑ "Committee Appointments". Bahá'í News (105): 5. February 1937. ↑ Buck, Christopher (2003). "Islam and Minorities: The Case of the Bahá'ís" (PDF). Studies in Contemporary Islam. 5 (1): 83–106. ↑ "Persecutions in Egypt". Bahá'í News (104): 8. December 1936. ↑ "Committee Appointments". Bahá'í News (127): 9–10. July 1939. 1 2 "News of Other Lands; Egypt". Bahá'í News (178): 8. December 1945. ↑ "Hand of Cause 'Amatu'l-Baha Ruhiyyih Khanum Dedicates Mother Temple of Africa; Teaching Conference". Bahá'í News (361): 5. April 1961. ↑ "Cablegram Received June 15, 1941". Bahá'í News (146): 2. September 1941. ↑ "Egyptian Baha'is present on the occasion of the transfer of the remains of the Late Lua Getsinger to the new Baba'i Cemetery in Cairo". Bahá'í News (160): 1. February 1943. ↑ "Letters from the Guardian". Bahá'í News (155): 1–2. August 1942. ↑ "Brief Notes from Other Lands". Bahá'í News (146): 10. December 1946. ↑ "Baha'i monument recently completed…". Bahá'í News (196): 8. June 1947. 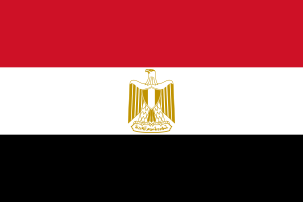 ↑ "International News (section on Egypt)". Bahá'í News (81): 10–11. February 1934. ↑ "From Haifa Newsletter". Bahá'í News (151): 10–11. February 1942. ↑ "Cablegram Received June 28, 1942". Bahá'í News (151): 2. August 1942. ↑ "Centenary News; Haifa". Bahá'í News (151): 11. December 1944. ↑ "Centenary News (Concluded) – News of Other Lands; Egypt". Bahá'í News (173): 12. February 1945. ↑ "News of Other Lands; Egypt". Bahá'í News (181): 10–11. March 1946. ↑ "News of Other Lands; Egypt". Bahá'í News (173): 12. June 1945. ↑ "History of the Bahá'í Community of Egypt". 2005 August – Baha'i International Community Report. Bahá'í International Community. August 2005. Archived from the original on 10 April 2009. Retrieved 2009-05-25. ↑ U.K. Bahá'í Heritage Site. "The Bahá'í Faith in the United Kingdom – A Brief History". Archived from the original on 26 February 2008. Retrieved 2008-02-18. ↑ "News of Other Lands; Moslems Look to America". Bahá'í News (182): 7–8. April 1946. ↑ "News of Other Lands; Egypt". Bahá'í News (186): 8. August 1946. ↑ "News of Other Lands; Egypt". Bahá'í News (238): 6–7. December 1950. ↑ "The "Act of the Governor's Office"". Bahá'í News (225): 7–8. November 1949. 1 2 "International News; Egypt and the Sudan: National Election". Bahá'í News (248): 8. October 1951. 1 2 "International News; Egypt and the Sudan: National Election". Bahá'í News (247): 6. September 1951. ↑ "International News; Women in the News". Bahá'í News (259): 6. September 1952. ↑ "AFRICA". Bahá'í News (260): 6. October 1952. ↑ Hassall, Graham (26 August 2003). "This note concerns references to Africa in the Bahá'í Writings". Asian/Pacific Collection. Asia Pacific Bahá'í Studies. Retrieved 2009-10-26. ↑ "International News; Egypt and Sudan". Bahá'í News (272): 8. October 1953. ↑ "First Spiritual Assemblies (Captions)". Bahá'í News (298): 11. December 1955. ↑ "Local Spiritual Assembly (Caption)". Bahá'í News (315): 5. May 1957. ↑ "First Baha'i Winter School of Egypt Held in Cairo". Bahá'í News (338): 8. April 1959. 1 2 "Government fines, imprisons 48 Bahá'ís". Bahá'í News (676): 8. July 1987. ↑ Amnesty International (October 1996). "Dhabihullah Mahrami: Prisoner of Conscience". AI INDEX: MDE 13/34/96. Archived from the original on 23 February 2003. Retrieved 2006-10-20. ↑ Kourosh, Naseem (Summer 2012). "A Cold Winter in North Africa:The Case of the Bahá'ís in Egypt" (PDF). International Law News. American Bar Association. 41 (3): 31–33. Retrieved 20 November 2012. ↑ "Letter from the Universal House of Justice on back page". Bahá'í News (676): 8. July 1987. 1 2 Momen, Moojan. "History of the Baha'i Faith in Iran". draft "A Short Encyclopedia of the Baha'i Faith". Bahai-library.com. Retrieved 2009-10-16. ↑ Kingdon, Geeta Gandhi (1997). "Education of women and socio-economic development". Baha'i Studies Review. 7 (1). ↑ Momen, Moojan; Smith, Peter (1989). "The Baha'i Faith 1957–1988: A Survey of Contemporary Developments". Religion. 19 (1): 63–91. doi:10.1016/0048-721X(89)90077-8. ↑ el-Badri, Yousri; al-Dissouki, Farouk (22 April 2009). "Baha'is Accused of Blasphemy; Banned From Rituals". Egypt: Almasry Alyoum. Retrieved 2009-05-25. ↑ "Baha'i Homes Set on Fire Again in Egypt – UPDATED". The Muslim Network for Baha'i Rights. 23 February 2011. Retrieved 25 February 2012. ↑ Bahá'ís of Egypt (April 2011). "An open letter to the people of Egypt". www.bahai-egypt.org. Retrieved 25 February 2012. 1 2 "Egypt's forgotten Baha'i community fearful and hopeful of future". Bikya Masr. 7 January 2012. Archived from the original on 21 March 2012. Retrieved 25 February 2012. 1 2 al-Shahat, Abdel Moneim (18 February 2012). "Shahat: Baha'is threaten Egypt's national security". Egypt Independent. Retrieved 25 February 2012. ↑ Bashir, Dwight (22 August 2012). "A Baha'i Litmus Test for Egypt". The Cairo Review of Global Affairs. Retrieved 20 November 2012. ↑ Eipper, John (2012-12-14). "Constitutional Referendum and Egypt's Religious Minorities". World Association of International Studies. Retrieved 1 April 2013. ↑ "Ministry of Endowments warns against 'Baha'i threat'". Daily News Egypt. 11 December 2014. Retrieved 13 December 2014. ↑ Megeed, Kari (17 April 2015). "Egypt To Confront 'Threats of Atheists, Baha'is and Shiites' With New 'Special Groups'". Egyptian Streets. Cairo. Retrieved 18 April 2015. ↑ Michael Wahid Hanna (24 February 2015). "Public order and Egypt's Statist tradition". The Review of Faith & International Affairs. 13 (1): 23–30. doi:10.1080/15570274.2015.1005916. Retrieved 18 April 2015. ↑ Author profile in the English PEN World Atlas Archived 6 October 2011 at the Wayback Machine. ↑ Lucy Provan (14 October 2012). "Baha'is in Egypt - The 25 January revolution gave everyone hope for change, and the Baha'i hope for acceptance.". Daily News Egypt. Egypt. Archived from the original on 16 December 2014. Retrieved 4 May 2016. ↑ "Message to the Baha'is of Egypt from the Universal House of Justice". Bahá'í World News Service. 26 December 2006. ↑ "Congressional Human Rights Caucus, House of Representatives". 16 November 2005. Archived from the original on 27 December 2006. Retrieved 2006-12-29. ↑ AFP (30 January 2008). "Egypt's Bahais score breakthrough in religious freedom case". AFP. Archived from the original on 8 February 2008. Retrieved 2008-01-30. ↑ BWNS (29 January 2008). "Egypt court upholds Baha'i plea in religious freedom cases". Bahá'í World News Service. Retrieved 30 January 2008. ↑ "First identification cards issued to Egyptian Bahá'ís using a "dash" instead of religion". Bahá'í News Service. 14 August 2009. Retrieved 2009-08-16.